Starting from Wadi Rum , you will go by camel to Lawrence Spring, which is located next to the second highest mountain in Jordan and offers an incredible view of the desert. Then you will ride to the Red Sand Dunes, which you can climb to enjoy the view from the top. Following the Sand Dunes, you will head to the Ancient Inscriptions, a series of amazing rock carvings left by trade caravans many centuries ago. Here you can relax while your guide prepares your lunch with Bedouin tea. Next you will head to the Um Ishrin area, which is where you will stop for the day. A jeep will bring you your luggage, and your guide will cook a Bedouin dinner over an open fire. You can sip Bedouin tea and relax until you drift off to sleep under the night stars. On the second day, after breakfast, you will ride to the quiet and beautiful Burrah Canyon, which is an excellent spot to take a hike. Meanwhile, your guide will cook your lunch. After relaxing and eating, you will continue your journey and ride to the Burdah Rock Bridge, where you will stop for the day. The jeep will bring you your luggage, and you will enjoy a delicious Bedouin dinner and tea before going to bed under the desert stars. On the 3th day, after breakfast, you will ride to the Um Frouth Rock Bridge, which is an easy climb and offers a fantastic view of the desert from the top. Since this ride takes all morning, you can relax at the bridge while your guide makes lunch. Next, you will begin riding towards the sunset spot, deep in the desert. Here the jeep will meet you with your luggage, and you will enjoy dinner and your final night under the stars. 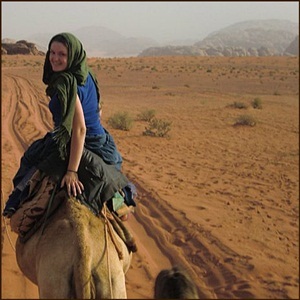 On the 4th day, after breakfast, we will drive you back to Wadi Rum village by jeep.